Till 11 Feb 2017 Straaten: CNY Warehouse Sale with 50% OFF 2nd Item Storewide! 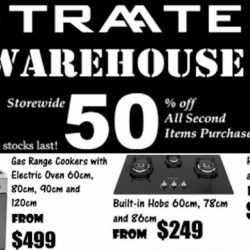 If you are furnishing your new home, this is the perfect warehouse sale to head for new home appliances like gas range cookers, electric ovens, hoods & more! Enjoy 50% off all second items purchased storewide at Straaten CNY Warehouse Sale! Sale ends 11 February 2017, so hurry! 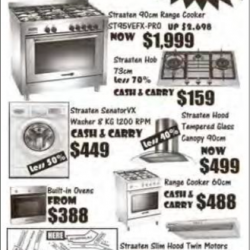 Straaten International offers Home Appliance Warehouse Sale until 13 April 2015.